Entering the league as the most proven draft prospect in the modern NBA, Luka Doncic had all eyes on him and the Mavericks as the season tipped off in mid-October. After a rough stretch of games to start his career off, Doncic found his groove and exploded for 30 points on 18 attempts against the Spurs, keeping Dallas in the game until DeRozan put the dagger in their hearts in the first head-to-head between the two Texas franchises. A quarter into his rookie season, Doncic is averaging historically elite numbers for a rookie. Through 20 games, his true shooting percentage of 58.3% is higher than all 5 players we'll run this list down, and he's quite obviously the offensive lynchpin for a team aiming to make the playoffs in a race that is 14 teams deep as of now and looks likely to remain that way for the rest of the season. Coming into the league as the consensus best player in college basketball, expectations from Carmelo Anthony were pretty high, and there were well-deserved comparisons being made to LeBron during his early years in the league. 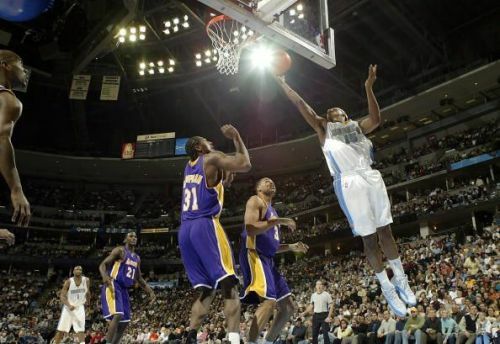 In fact, he made the playoffs in each of his first 7 seasons in the league as a Nugget, and he was an important component of their playoff push as a rookie. However, he was not a willing playmaker in his early years, opting always to seek his shot first rather than play within the flow of the offense. Playing on a team with no featured scorers, it made sense for him most of the time, but the signs of tunnel vision he displayed as a rookie was something he never snapped out of for the rest of his career, always being labeled as a ball-stopper with good reason. 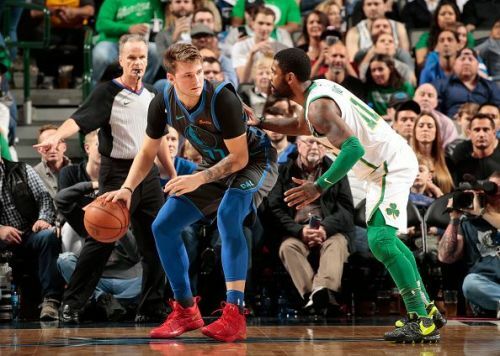 NBA 2018-19: Is Luka Doncic clearly the Rookie of the Year? NBA 2018-19 Player Comparisons: Luka Doncic vs Trae Young - Who will win The ROY? NBA 2018-19: Who won the Luka Doncic and Trae Young draft-night deal?